Plastic surgery is one of the medical specialties recognized by the American Board of Medical Specialties. 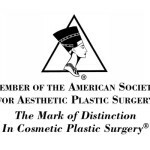 The American Board of Plastic Surgery is the only board in Plastic Surgery recognized by this organization. Plastic surgeons receive training (minimum of 6 years) that prepares them to perform surgeries of the face and body. During training, plastic surgery residents perform more cosmetic surgeries than any other specialty. The American Board of Cosmetic Surgery is not recognized by the American Board of Medical Specialties because they do not meet the requirements and some of their members are even family doctors with minimal training in surgery (more less cosmetic surgery). When looking for a cosmetic surgeon it is very important to check their credentials; if the surgeon is a member of the American Society for Aesthetic Plastic Surgery, this not only assures you the surgeon is board certified, but that they are board certified by the American Board of Plastic Surgeons and their practice is committed to cosmetic surgery. Plastic Surgery derives from the Greek word “plastikos,” which means to change. There is two big fields in plastic surgery: reconstruction and cosmetic procedures. This mix of procedures prepares plastic surgeons to have the basis necessary to be able to perform the best possible job. Real plastic surgeons can perform surgery in any area of the body. If someone tells you they “specialize” in one area of the body, most likely they are not a plastic surgeon. Of all the medical specialties in the US for the last decade, Plastic Surgery is the most difficult to obtain a position. It takes a lot of preparation, hard work and dedication to become a plastic surgeon.